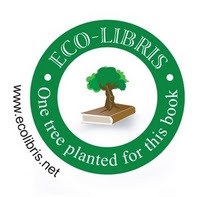 Eco-Libris blog: Can book publishers build an effective green brand? Can book publishers build an effective green brand? 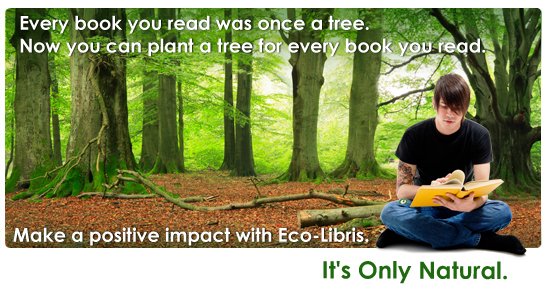 Last week we started a new series that is exploring why and how the book industry should go green. The first part focused on WHY and discussed the main drivers to go green outside of just being nice to planet earth. Today, we talk about HOW and more specifically on building a green brand. For a long time I'm occupied with the question 'Can book publishers build an effective green brand?'. I mean we have green brands on almost every market possible, but books have a very unique nature that differentiate them from most of the products we regular consume. As you can see from these results, there's no mention of the publisher and mostly it's about the subject or the author of the book. So given these circumstances, can publishers really build an effective green brand? I decided to ask the best experts on green branding and marketing and learn what they think about it - is this a mission impossible or a challenge that can be met? "Yes, you can apply green marketing/strategy thinking/rules to books", told me John Grant, author of "Co-opportunity" and "The Green Marketing Manifesto" and one of the green gurus interviewed on "Conversations with Green Gurus". The key principles of green marketing would apply here as well, he added - be innovate and then educate, i.e. bring the market with you. And don't greenwash! According to John, this is actually an opportunity for brands to show cultural leadership. You have to remember that with the exception of Penguin and a few others, there are few strong publisher brands, so here's an opportunity to challenge that - be more of an Apple or Dell in a world of faceless clone PCs. John also referred to new product and service opportunities that can create together with a green brand new revenue sources. There are numerous new markets waiting to be tapped, he explained - new paperless formats, pricing models, second lives for books - sharing/passing on, printing on demand/on location, custom books, and new recycling, reuse and upcycling models - e.g. different materials than paper. Joel Makower, Executive Editor at GreenBiz.com, and author of "Strategies for the Green Economy" also thought creating a green branding is doable, but emphasized that not every green step is necessarily useful. "I don't believe that a publisher can build a green brand based entirely on the physical nature of the product. Recycled paper, planting trees, using green printing techniques, creating e-books, and offsetting shipping impacts have become commonplace, table stakes even, and aren't much of a differentiator. (And much of this is invisible to the reader; you can no longer judge a book by its cover,)" he told me. Joel added that "to build a green brand would require a publisher to develop a deep strength in environmentally minded editorial content, or perhaps create an innovative business model that encouraged sharing/reuse of books, or some other disruptive innovation." Jacqueline Ottman, Founder and President of J. Ottman Consulting, Inc. and author of "Green Marketing: Opportunity for Innovation" and the upcoming "The New Rules of Green Marketing (Fall 2010) reminded me that we shouldn't forget one of the main trends in the industry - the shift from print to digital. "I think publishers can put forth a green brand, but they need to consider with the electronic looking like it may soon be take over the printed word, all publishers will need to be sustainability in order to ensure their own, well, sustainability," she told me. Peter Korchnak, Founder and Principal of Semiosis Communications and a sustainable marketer, blogger and speaker, thought it's a challenge that can be met. "Absolutely, book publishers can create sustainable brands," he replied. "Sustainable publishers must find ways to reduce their products' environmental footprint. Using recycled paper or low-VOC inks is the low hanging fruit," he added. But this is only the beginning - Peter believes that to build truly sustainable brands, publishers must change their entire business model, away from printing a run and then trying to sell it, with unsold product recycled back into pulp. Models like print on demand (only a book that gets purchased gets printed), audio (voice) or electronic distribution could be considered as the next step. Subscription models similar to the way some music is distributed may also be viable (although, libraries already do that, don't they). And exploration of and experimentation with other novel business models should also be on the table. Book publishers can build sustainable brands, he concluded, just like with any other sustainable brands, however, adaptation and especially innovation must be a part of that process. It's not just the book itself told me Orly Zeewy, a brand identity specialist and communications strategist. 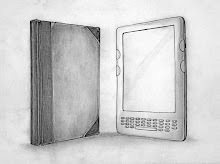 "A book is not inherently a “green product” but can become one. A book can be packaged in a 100% post consumer (molded pulp) carton, shipped with biodegradable packaging peanuts made from cornstarch and printed on acid free pages with paper harvested from FSC (The Forest Stewardship Council) approved forests." In addition to the books themselves, she added, publishers can look at their organization’s practices around diversity and fair wages and set strict guidelines for their supply chain. Publishers can get tough on issues such as child labor and fair trade and publicize their efforts to produce their products in the fairest way possible through a yearly Corporate Sustainability Report (CSR). In all, Orly, just like the other experts, believes it is possible (and should be expected according to her) for book publishers to build a green brand. But, she said, they need to look beyond producing a “green” product and look at how their products can be produced in a more sustainable way. So it looks like there's a consensus among all the experts we talked with - creating a green brand by book publishers is possible. 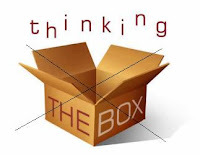 It's not easy and there are challenges in finding the best ways to do it effectively, but at the same time it also means creating new business opportunities - developing new products, models and markets that will translate into new revenue sources. It will be interesting to see which one of the big publishers (we already know some smaller ones like Chelsea Green or Green Books that are known as green publishers) will be the first to go for it. In times of change in the book publishing industry, and based on what we've heard here, creating a green brand looks like a promising way to ensure a long-term sustainable success. On the next post we'll discuss what part green can take in the future of bookstores.